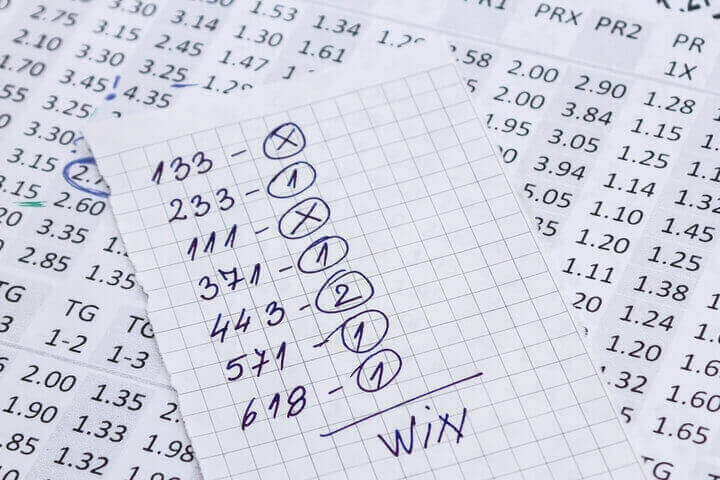 Knowing how to calculate bets can be a useful skill to have in sports betting. With our betting odds calculator, you can remove some of the complicated math. Basically, betting odds are the likelihood of an outcome occurring and the amount of money you’d receive for correctly predicting said outcome. Here, we will explain the three most popular ways of displaying odds and how to calculate odds to find your expected profit. Before we get into the math, let’s have a play around with our bet calculator. The bet calculator is easy to use. Simply enter the stake of your wager (how much you are betting), then the odds you are taking. The bet calculator will then display the return you will receive from your bookmaker and the profit of your wager should your bet win. Let’s start with calculating American odds. American odds (also known as Moneyline odds) are represented as either Plus odds or Minus odds. American Plus odds are odds that are longer than even money. For example, let’s say the Chicago Bears are at odds of +275 to win an upcoming game in the NFL. What does +275 mean? Simply put, +275 means that for every $100 that you bet, you will receive a profit of $275 should your bet win. To put it plainly, American Plus odds represent the amount you will profit from a $100 bet. To calculate our profit from Plus American odds, we multiply our stake by the plus odds then divide by 100. Let’s say we bet $20 on the Bears to win at the odds of +275. If the Bears win, we claim a profit on our bet of $55. American Minus odds are odds that are shorter than even money. For example, let’s say the New York Giants are at odds of -150 to win an upcoming game in the NFL. What does -150 mean? Simply put, -150 means that you must bet $150 in order to win $100. To put it plainly, American Minus odds represent the amount you must bet in order to make a profit of $100. To calculate our profit from American Minus Odds we divide our stake by the odds and multiply that figure by 100. Let’s say we bet $30 on the Giants at the odds of -150. 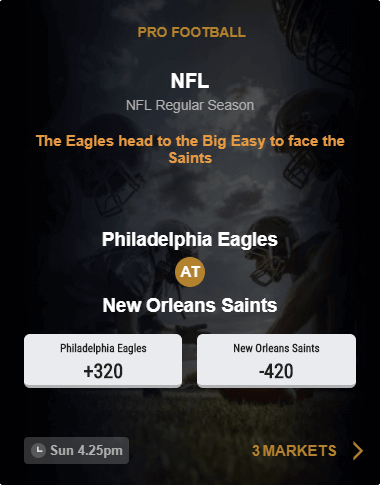 If the Giants win the game, we make a profit of $20. Decimal odds are the preferred odds format in Europe and Australia. Decimal odds display the sum that will be returned for a $1 bet, should the bet be successful. For example, let’s say the Boston Celtics are at odds of 1.75 to win an upcoming NBA game. What does 1.75 mean? Simply put, 1.75 means that for every $1 you bet, you will earn a total return of $1.75, with your stake returned along with a profit of $0.75. To calculate the profit of your wager you simply multiply your stake by the odds and subtract your stake. If we bet $25 on the Celtics to win their game, should the Celtics win, we would see a return of $43.75. Once we subtract our stake of $25, we see a profit on our bet of $18.75. Fractional odds are the most traditional way of displaying betting odds. It is still very popular in the United Kingdom, especially among the horse racing fraternity. Fractional odds display the profit in proportion to the stake. For example, the Los Angeles Dodgers are at odds of 3/2 to win an upcoming MLB game. What does 3/2 mean? Simply put, 3/2 means that for every $2 that you bet, you will receive a profit of $3. To calculate your profit you simply divide your stake by the denominator (in this case 2) and then multiply that figure by the numerator (in this case 3). Let’s say we have bet $10 on the Dodgers to win at the odds of 3/2. We first divide our stake of $10 by 2. This returns us $5. We then multiply that figure by the numerator (3) and our profit is $15.